The following is a guest post written by Mark Miller, the head of Colliers’ national Energy & Sustainability team. To learn more about Colliers’ Energy and Sustainability services, click here. The Federal Government is taking aggressive steps to reduce greenhouse gas emissions and drive sustainability in its owned and leased real estate portfolio. Two new initiatives taken in the Spring of 2015 include a new law titled “The Energy Efficiency Improvement Act of 2015” and an Executive Order – “Planning for Federal Sustainability in the Next Decade”– are sure to change the landscape for those involved in leasing space to the Federal Government. The following are abbreviated highlights relevant to property investors and managers. This bill requires the General Services Administration (GSA) to: (1) develop and publish model leasing provisions to encourage building owners and tenants to use greater cost-effective energy efficiency and water efficiency measures in commercial buildings, and (2) develop policies and practices to implement the measures for the realty services provided by the GSA to agencies. The Environmental Protection Agency (EPA) must develop a voluntary Tenant Star program within the Energy Star program to recognize tenants in commercial buildings that voluntarily achieve high levels of energy efficiency. The EPA may develop a voluntary program to recognize commercial building owners and tenants that use high-performance energy efficiency measures in the design and construction of leased spaces. The Environmental Protection Agency (EPA) must develop a voluntary Tenant Star program within the Energy Star program to recognize tenants in commercial buildings that voluntarily achieve high levels of energy efficiency. 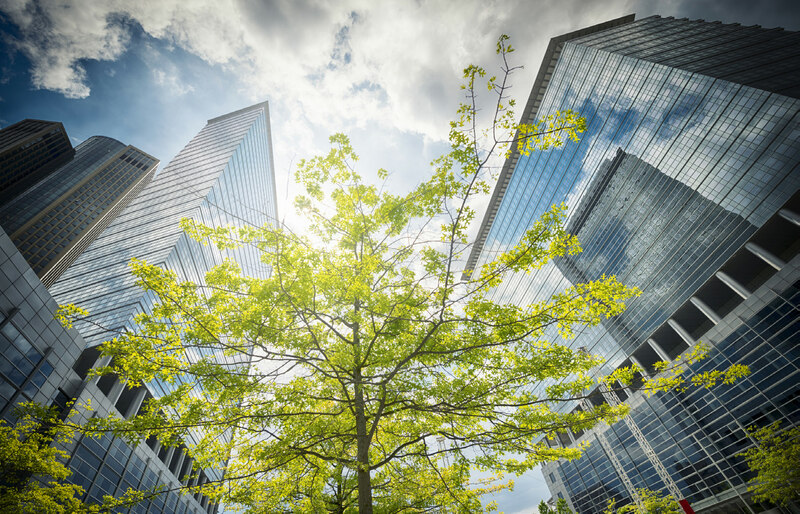 The EPA may develop a voluntary program to recognize commercial building owners and tenants that use high-performance energy efficiency measures in the design and construction of leased spaces. A federal agency leasing space in a building without an Energy Star label must include in its lease provisions requirements that the space’s energy efficiency be measured against a nationally-recognized benchmark. The agency must also meet certain energy consumption disclosure requirements. The Executive Order establishes sustainability goals for each agency including reducing energy intensity by 2.5% and water use efficiency by 2% annually through FY 2025. The order requires increasing percentages of renewable electric energy and thermal energy from alternative/clean sources by up to 30% by 2025. Agencies must meet the Guiding Principles for Federal Leadership in High Performance and Sustainable Buildings 15% goal by 2025. Agencies must identify a percentage of existing buildings for “Net-Zero Energy” and all new buildings must be “Net-Zero Energy” by 2020 and where feasible, with water or waste net-zero by 2030. In all new lease solicitations over 10,000 RSF: 1) Criteria for energy efficiency is required as a performance specification or as a source selection evaluation factor 2) The building lessor will be required to disclose carbon emissions or energy consumption by the agency for that portion of the building occupied by the agency via sub-metering or pro-rated occupancy data. 3) Reporting building energy in FY 2016 as part of scope 3 greenhouse gas emissions will be required for newly solicited leases over 10,000 rentable sf 4) The planning of new buildings or leases must include cost-effective strategies to optimize sustainable space usage and consideration of existing community transportation planning & infrastructure including access to public transit.